The Virgin Australia Supercars Championship heads ‘across the ditch’ next weekend, to Pukekohe for the ITM Auckland SuperSprint in New Zealand, a country where plenty of former V8 Supercars have ended up going to live. 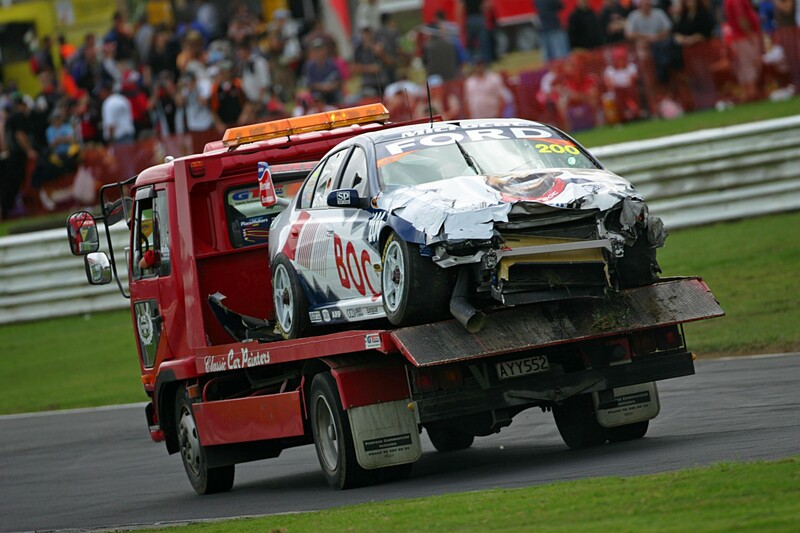 Our V8 Sleuth, Aaron Noonan, has spent some time sifting back through the tapes of previous Pukekohe events and one incident from the 2006 round immediately raised his attention. Many Supercar fans will remember that weekend as Hall of Famer John Bowe’s 200th championship round, and his Team BOC Falcon BA carried the #200 to mark the achievement. But sadly it ended early for ‘JB’, as a stuck throttle sent him straight into the wall down at Turn 1 in Race 2, the damage to his Falcon enough to sideline the Tasmanian legend for the rest of the event. Even worse, his collision with the trackside wall resulted in a broken leg for ace Supercar photographer Scott Wensley, who recovered from his injuries and continues taking photos at events to this very day. As it turns out, that very Bowe Falcon has ended up making New Zealand its full-time home with collector Richard Atkinson, who acquired it in 2016 and continues to use it in various events running in a base white-and-blue BOC livery. This particular Falcon - Brad Jones Racing chassis 06 - started its life back in 2004 as John Bowe’s #12 Ozemail Falcon, debuted that year at Albert Park. The two-time Bathurst 1000 winner ran this car for the entire 2004 season, highlighted in the single-driver portion with a pair of top-five round results at Hidden Valley and Barbagallo. He and team owner Brad Jones teamed up in this chassis for the endurance races and they finished third at Bathurst before Bowe saw out the season aboard BJR 06. The Tasmanian retained this car for the 2005 season in BOC Gases colours and actually took it to a race win in the non-championship Albert Park event. Both BJR cars made smart tyre choices and sliced through the field as the only ones on slicks as the initially-wet track dried, having finished the opening lap in 23rd and 26th positions. Bowe continued to race this car for the remainder of 2005, save for Sandown and Bathurst, where it was driven by Dale Brede and John Cleland. 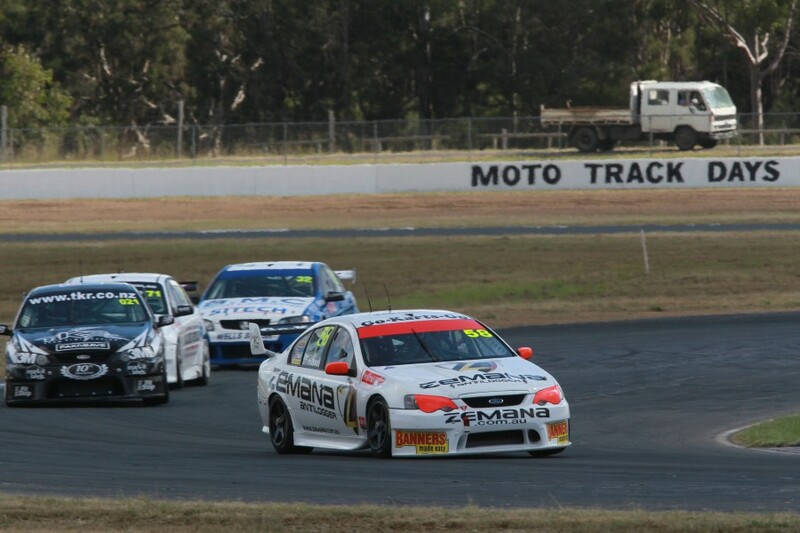 Bowe scored a range of strong round results in the car that season and Brede and Cleland continued that trend by finishing seventh at Bathurst. 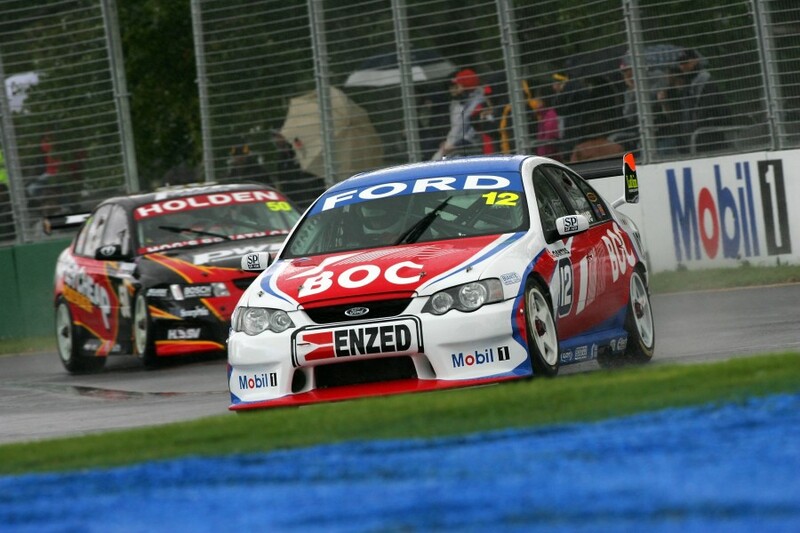 The chassis returned for its third year of service in 2006 (this time with Stone Brothers Racing engine power given BJR did a deal with the Queensland Ford squad) with Bowe again at the helm. 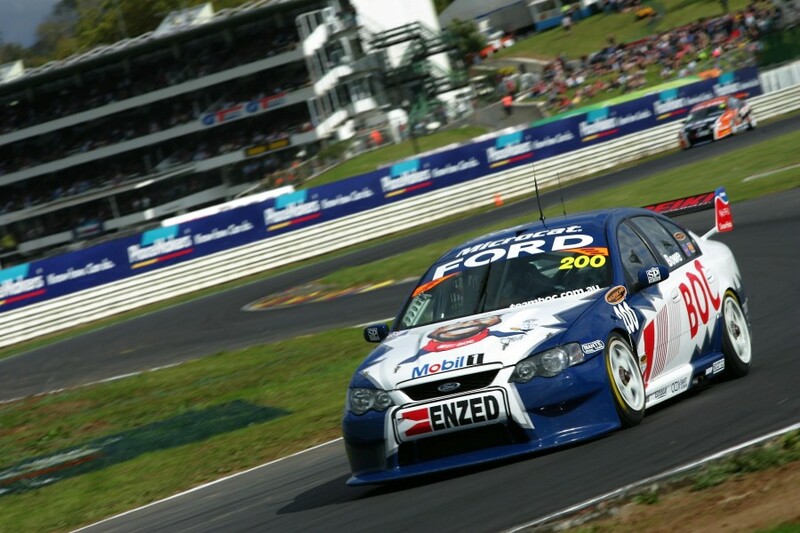 After its accident at Pukekohe that year the car was parked and didn’t appear in a race again in 2006. It was upgraded to BF specification in time for the 2007 championship and taken over by Andrew Jones to drive in his first full-time season in the main championship with his family-run team, after previous stints with GRM and Tasman Motorsport. Jones ran this car for the full year in 2007 in what was a tough year for BJR. His best result of the campaign was a 15th overall at Oran Park and he and Simon Wills ended the endurance races early. The car failed to finish both races, a fire at Bathurst prompting Jones to leap from the burning Falcon, though it was repaired in time for him to see the year out in it. 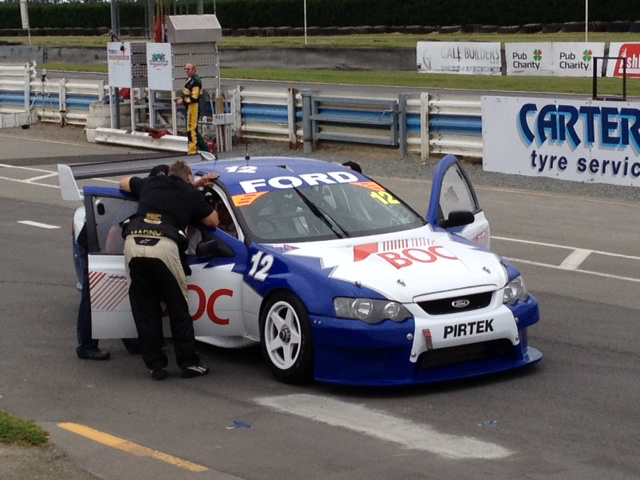 The team switched to Walkinshaw-sourced, ex-HRT Commodores for 2008 and this Falcon sat around looking for a new home. Eventually it was sold to Wayne Russell in early 2010 with son Drew driving it for the entire Fujitsu Series that year. It became the Newcastle team’s spare car in 2011 though returned to racing under the team’s Novocastrian Motorsport banner in the ’12 series with Michael Hector at the helm as part of a three-car team operation. No longer being eligible for the Dunlop Series and having found no buyer, the car made a return to the track in the 2013 Bathurst 12 Hour with Hector in the Sports Sedan support category. V8 Touring Car Series driver Matt Palmer acquired this car in late-2013 and it competed in a few rounds of the series in ’14 with Drew Russell and Gerard McLeod. Palmer then took the helm of it at Bathurst in 2015 in the Combined Sedans class at the circuit’s Motor Festival event. He also wheeled it out for the Phillip Island Kumho round after an accident in his sister BJR 04 chassis in the ride session. Palmer ran it again at Sydney Motorsport Park before it was sold off to Richard Atkinson and sent to New Zealand, where it currently resides. 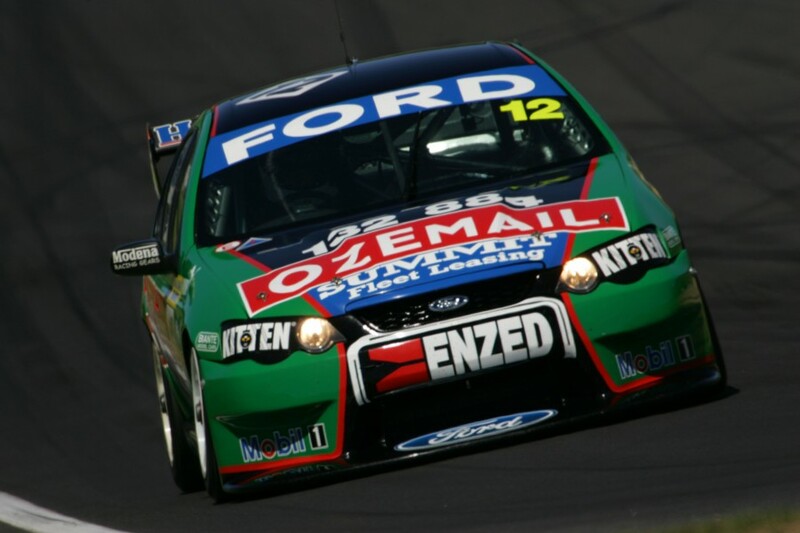 We touched base with the Kiwi this week and the Falcon was in the paint booth, being returned to its 2004 Bathurst #12 Jones/Bowe OzEmail livery in which it finished third in that year’s race. Saturday Sleuthing will take next week off for the ITM Auckland SuperSprint and return for the final time for 2017 on November 11. If you have a car you’d like to see featured by our V8 Sleuth this year, send him an email here or visit the website here to get in contact.